Last week Chief of the Russian Air Force Viktor Bondarev announced that a Russian airbase would be established in Babruysk in 2016. An article from the Moscow Times on expanding the Russian air force presence abroad, subsequently reprinted in the Guardian, painted a rather dramatic, yet not entirely correct picture. According to the story, Russia has stationed its fighter jets in Baranavichy and announced plans for an air base in Lida and even decided to establish an airbase in Babruysk. This is all a part of Russia's global military expansion with Russian strategic bombers going to the Caucasus and Central Asia and probably to other regions as well. Analysis of recent news on the Russian base in Belarus paints a slightly different picture. Minsk and Moscow gave up plans to put Russian fighter jets next door to NATO member states. Russia will get only one base in Babruysk, and later than it had originally planned. The regional military balance of air forces will show NATO's significant superiority even after the establishment of the Russian base. Revising their plans, Minsk and Moscow have effectively shown to the West their willingness to ease current tensions. A Part of the Global Offensive? The Moscow Times article distorted the issue in a few ways. First of all, it exaggerated the numbers by claiming that a wing of Russian Su-27 fighter jets would be stationed at the base. A Russian regiment, however, contains fewer planes than a wing in the British Commonwealth nations (24 and 30 aircraft, respectively). Second, the article presented the decision to establish the airbase in Babruysk in the context of the expansion of Russia's air force presence in post-Soviet states. It implied that the decision to place a base in Belarus is related to Moscow's plans to make its air force bases in Armenia and Kyrgyzstan suitable for use by strategic bombers as well as to negotiate additional bases for strategic bombers around the world. However, there is no evidence of plans to deploy strategic bombers in Belarus. Third, the Moscow Times mentioned the planned deployment of Russian fighter jets in Baranavichy as well as Russia's plans to station its some of its air force in Lida. Yet it forgot to add that the planned airbase in Babruysk is not an additional third airbase. Moscow's plans have changed: only Babruysk shall host the Russian air force. … or an Attempt to Reverse the Strategic Setback? The Moscow Times correctly stated that the Russian defence officials explained the deployment in Belarus “as a response to NATO’s beefed-up air patrols in the Baltics and Poland.” A complete wing of Russian fighter jets indeed sounds impressive when they are flying next to NATO's own air “patrols.” Yet, the numbers once again tell a different story. In two years, Belarus may host as many as 24 Russian jets. Poland already hosts 22 fighter jets from other NATO member states. Militarily speaking, NATO's F-16, Rafale, and СF-18 can definitely stand up to Russia's Su-27s. In May, NATO increased the number of aircraft deployed in the Baltic countries to 12. These are also modern planes – MiG-29, F-16, Eurofighter Typhoon and F-15C. NATO has sent only combat-ready jets to the Baltics to carry out patrols. The aircraft at the planned Russian base – as is true in any Russian air force base – will contain planes in all kinds of different states which an be attributed to the fact that the planes regularly break down. In short, the Russian military expansion in Belarus looks more like a desperate attempt to compensate for the degradation of the Belarusian air force. Minsk insists that it is Russia's most reliable ally, ready to defend Moscow. Yet it increasingly lacks the technical means to provide such defence. Russia is not willing to provide equipment for free and wants to station its own planes in Belarus. Belarus's willingness to host foreign aircraft is predicated on its desire for one simple thing – money. According to a 2012-2013 assessment by the International Institute for Strategic Studies (IISS), among post-Soviet states only Moldova spends less on national defence than Belarus. With a military budget of less than 1% of GDP, Minsk is not in a position to buy modern fighter jets. Over the two decades of its independence, Belarus has only bought a few training and light ground attack aircraft for its own air force. Specifically, it has purchased a second-hand L-39 and, more recently, a new Yak-130. 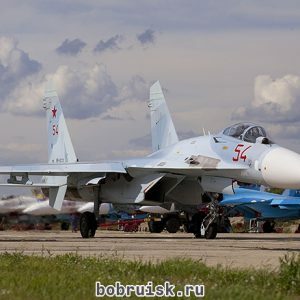 Once its last MiGs and Sukhoi's are decommissioned, Belarus's airforce will resemble that of a Third World country. Russia could have helped Belarus out by providing it with better aircraft, but chooses to charge Minsk for modern airplanes. Belarus cannot afford buying aircraft, even at a discount, and not only because of its financial constraints. Belarusian society strongly opposes arms spending. What Minsk can afford are a few relatively inexpensive Yak-130 jets that can be employed for training and carrying out light ground attacks. Last year, Belarus got four of them, and another four will be delivered in 2015. Two aspects of the most recent decisions regarding the bases in quesiton stand out as proof that Minsk and Moscow are seeking to avoid a confrontation in the region. First, Moscow and Minsk have decided to move the airbase away from NATO and to the easternmost suitable airfield it could find. Second, Russian officials announced that the new base will become operational only in 2016. As recently as March, they were insisting that the base would be established by the end of this year. It is far from certain whether the base will open even in 2016. Just taking a look at the drawn-out process of creating the Single Air Defence System would seem to suggest that the Belarusian leadership can and does delay this kinds of projects for years if it so wishes. The decision to relocate the base to the east is already causing delays. While the western airfields could have promptly hosted the Russian forces, the eastern airfield needs to be reconstructed in order to be suitable for these purposes. The reconstruction will last as long as Lukashenka wants and can resist the Kremlin's pressure. Lukashenka did not want a Russian airbase in the first place. Even now, having accepted it to get some military equipment and other favours from Moscow, he is not capitulating to the Kremlin. The last thing the Belarusian leadership wants is to see a confrontation between Moscow and the West escalate in Belarus's own backyard. This kind of confrontation would destroy Minsk's ability to manoeuvre between the opposing parties by forcing it to commit to one of the blocs, a choice which it is reluctant to make. A Russian airbase increases the likelihood of this dangerous development. This was the motivation behind moving Russian jets from the western airfields, rationalising to its Russian partner that Belarusian aviation needs these airfields. Minsk's interest in changing the plans for the bases coincided with Moscow's interest in signalling its desire to reduce tensions with NATO. A Russian airbase in Belarus would serve no critical purpose at the moment and it can wait. The base does not look like a fait accompli. It is already the third time that Moscow has reconsidered even the basic design of its planned airbase. The history of Belarus-Russian integration proves that the Kremlin has rarely implemented its plans in Belarus when and how it wished. There is no realistic threat of a "Crimean-style" take over by Russia of Belarusian territory either. Even if in addition to the two existing Russian technical military facilities (a radar installation and a communication centre) in Belarus, Moscow does manage to establish another base, it will still have no “boots on the ground” in Belarus. But the degradation of Belarusian airforce and the establishment of a Russian base does, however, weaken Belarus's strategic position. Minsk will loose its credibility as a security provider in relation to Russia and become more exposed to the Kremlin's pressure. The presence of Russian airforce combat units will also undermine Belarusian neutrality, despite their clearly defensive nature. Over 50 companies offer discounts for students participating in the free language course Mova Nanova. KEF conference 'The Global Context, Local decisions: the potential of the private sector in Belarus' will take place in Minsk. Belarusian state officials, independent economists and experts expected at the event. All Minsk grassroots are being collected in a single google document. 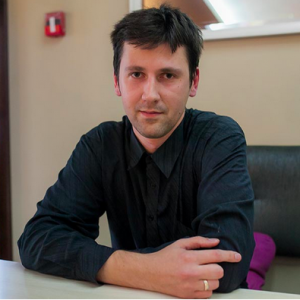 Open data community helps Belarusians benefit from publicly available data. Students of Mova Nanova courses get discounts of 50 companies. Discounts from 5 to 25% are available upon presentation of a student card, which is delivered to all 600 students of Mova Nanova (Language in a New Way) free Belarusian language lessons in Minsk and other cities. Among the companies that joined the discount program are bookstores, cafes, photography, mobile accessories, trips, clothing and even visits of basketball games. Guardian’s New East network journalist workshop in Minsk. On 29 October The Guardian’s New East network, Belarus in Focus, and the Belarusian Association of Journalists will hold a half-day workshop for English-speaking journalists based in Belarus who write, or want to write, for international audiences. This workshop will look at how news and current affairs from Belarus are covered by English-language media organisations, and focus on ways that journalists in Belarus can expand and diversify this coverage for international audiences. Mova ci kava in Warsaw. Mova ci kava/Language or Coffee, free Belarusian language lessons expand its activity till Warsaw, Poland. The first class, led by Siarhiej Pieliasa, editor at independent TV channel Belsat and Taciana Niadbaj, a poet, took place on 13 October at cafe OSIR. Topic for the first lesson is ’Let’s get to know each other’. All Minsk grassroots are being collected in a single table. It's an open, free, collaborative google-doc that could be supplemented by anyone who has information about Minsk civil society initiatives or organised communities. The idea to create such a document belongs to a well-known Russian urbanist, Sviat Murunov who attended Minsk with a workshop on urban communities about a year ago. The Open Data community in Minsk. Community Open Data collects numerous data from open sources and makes them visible and clear to take decisions on specific city issues – to control budget costs, improve infrastructure, monitor public security, etc. At the technical level, open data is a huge Excel- or CSV-files, that contain useful information but it must be extracted and analysed in order to be clear/accessible for ordinary citizens. Film Festival on problems of human trafficking. To the European Anti-Trafficking Day, Gender Perspective NGO together with the Minsk cinema ‘Victory’ present a Film Festival of La Strada program, devoted to the problem of human trafficking. The movie screenings are held on 16-18 October; admission is free. Capacity Development Fair to help meeting CSOs and providers at the market. On 31 October the Third Fair of CSO Capacity Development that is to take place in Minsk. This year an annual popular event will become a true market where customers (CSOs) will have real money to buy services of the consultants. To provide CSOs of purchasing capacity, the Marketplace announces a Fair call for CSOs to get pre-approved vouchers and make deals with providers directly at the Fair. The the registration for the Fair to participate is open until 20 October. KEF conference 'The Global Context, Local decisions: the potential of the private sector in Belarus' will be held 5 November in Minsk. The Belarus’ Minister of Economy, head of the World Bank in Belarus, and others are expected to attend the conference conducted under Kastrychnitski Economic Forum (KEF). The KEF is a platform for open professional dialogue on sustainable development in Belarus in the context of the global economy. The conference is organised by IPM Research Centre in cooperation with BEROC and CASE Belarus with support of USAID/Pact and the Association of European Businesses. Sector Analysis of Regional and Local Development study is to be presented on 24 October in Minsk. The study was commissioned by the Office of European Expertise and Communications (OEEC). One of the study's conclusions concerns the CSOs that are not significant actors in the sector, however, their potential, the work implemented and the funds attracted allow to classify them as important agents of change at the territorial level. The presentation will start at 2:30 pm, at the Viktoria hotel. Festival of the Independent Belarusian Culture took place on 6-10 October in Wroclaw, Poland. The festival was held for the sixth time and includes not only concerts and exhibitions, but also discussions on Belarusian politics and economy. Organiser of the festival is the fund ‘For Your and Our Freedom’. Lyntupy invites for Festival. On 11 October at the border between Belarus and Lithuania, Lyntupy village hosted a Festival 'Dream of Blue Lakes'. The festival suggests its visitors an exhibition of homemade textiles, embroideries, works of arts and crafts, fair of local services, tasting of local food, master-class on contemporary street art, etc. The event is organised by Lyntupy's residents and vacationers with the support of the local administration. Belarusian NGOs: Plenty of Leaders, but Who are the Authority? – The research of solidarity potential in the Belarusian civil society, conducted by the Centre for European Transformation (CET) and the Belarusian Institute for Strategic Studies (BISS) at the beginning of the year, aimed at assessing and giving intentional interpretation of the social and political solidarity in the Belarusian civil society. All in all 150 organisations were selected as respondents. The research shows that Belarusian third sector is a crowd of leaders no one of which has enough authority to set reference points and program of solidarity actions. Watchdog Function in the Perception of Belarusian NGOs. Needs Assessment of NGOs in Civil Monitoring – The study was performed by the Centre for European Transformation (CET) and commissioned by Belarus Watch NGO in the summer of 2014. The research shows that the watchdog function is not typical of Belarusian NGOs. Not all organisations see a specific effect or do not really understand why they need civil monitoring, and respectively they do not plan to include this function in their activities.